California Living ® host Aprilanne Hurley with Celebrity Chef Ralph Pagano at the Culinary Insitute of America. Join California Living ® host Aprilanne Hurley for the inside look at how to expertly pair wine and food at The Culinary Institute of America at Greystone, located in Napa Valley, California. To wrap California Wine Month with a bang, California Living ® airs this entertaining inside look at Food & Wine Pairing for viewers looking to learn expert secrets to great food and wine pairing to create their own delicious food and wine pairings at home. California Living® is also available on the Dish TV and Direct TV Networks – please check your local listings for channel placements. Click here for the full California Living ® Broadcast Schedule and Channel Placement info. – then catch CA Living TV on ION Television real-time, record it…or TIVO it – to get in on all the California Living ® fun. California Living ® host Aprilanne Hurley with food & wine enthusiasts Damon Calegari & Tyler Ash. 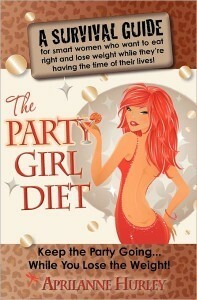 California Living ® is sponsored in part by The Party Girl Diet & Super Abs Playbook – 2 books in Aprilanne Hurley’s revolutionary, healthy NEW lifestyle book series available on Amazon.com to help you “keep the party going…and keep the weight off” this season. Aprilanne Hurley SFN, CLFC is a Certified Specialist in Fitness Nutrition and Certified Lifestyle Fitness Coach. As the TV series creator and host of California Living ® – Hurley delivers her “California lifestyle” inspired content to millions of TV households in a fun and entertaining magazine style show featuring California’s trends in food, wine, travel…and healthy living. California Living ® is the Registered Trademark of series creator and TV host Aprilanne Hurley and INSIDE LOOK TV, LLC (c) 2005 – 2016 – All Rights Reserved. Aprilanne Hurley, CA Living TV, California, California Life, California Living, California Wine Month, food and wine pairing, inside look, Inside Look TV, Napa Valley, Napa Valley Wine, napa valley wine tasting, Party Girl Diet, secrets to food and wine pairing, wine pairing. Bookmark.